State Police are investigating a crash that involved a tractor-trailer along the Thruway near Exit 41 during the late-morning hours. While the roadway was temporarily blocked – those at the scene worked quickly to free the congestion. As of 10:50 a.m. the roadway was reopened. However, motorists were encouraged to remain cautious on all roads as they were remain snow-covered. This story will be updated when State Police provide a new update. 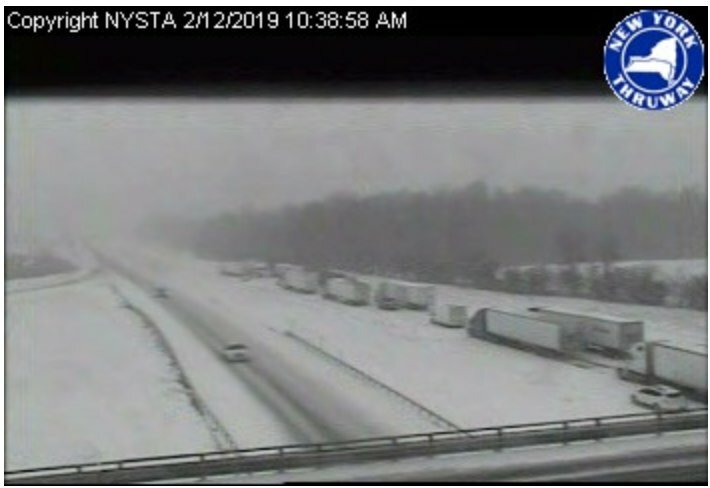 Click here to follow live updates from around the Finger Lakes as wintry weather impacts travel throughout. ALERT-ROCHESTER: All lanes are blocked on I-90 westbound at exit 41 due to an accident. Motorists should expect delays and may wish to find alternate routes.